Does your freezer look like this? 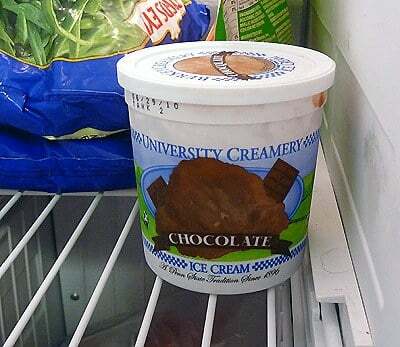 I think we’ve all had a moment when we’ve unearthed something from the depths of our freezer only to wonder not only when it was put there, but what in the world it was! As I was cleaning out my own freezer and ridding it of remnants of last summer’s ice cream bounty, I thought that perhaps it was time to talk about freezer organization here on Brown Eyed Baker. (I also thought it was time that I whip up a fresh batch of vanilla bean ice cream.) A freezer can be a lot like a vacant spare bedroom that usually meets one of two fates: (1) A nicely organized space that allows you to store things that you don’t use everyday but want to keep for when you need them; or (2) A space so disorganized and messy that you don’t want to open the door for fear of what may fall on your head (or toe), and if you can get the door open safely you probably can’t get very far into the mess to even figure out what’s in there. The first part of this post will be dedicated to organizing your freezer – figuring out what you have in there and going over some food safety guidelines for proper food storage and how long different types of food can last safely in a freezer. 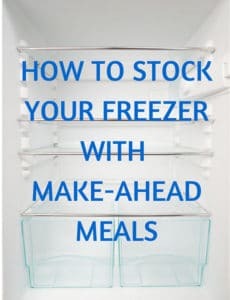 The second part of this post will help you re-stock your freezer with food that you can prepare and have ready to heat up at a moment’s notice. These will be particularly useful on nights when you get in late but don’t want to pick up fast food. Also, if you know someone who is expecting, a nice gesture may be to prepare one or two dishes that are ready to freeze so once the baby arrives the new mom can pull it out of the freezer, pop it in the oven, and have a warm, homemade dinner with no effort. Oops, I may have lied. There is ice cream in there. But, it’s only from November. And, I paid good money to have it packed in dry ice so I could drive it home from the Berkey Creamery at Penn State, where I made a pit stop on my back to Pittsburgh from delivering a cake order on campus. ♦ Make sure that your freezer is set to 0°F and no higher. ♦ Wrap food (especially meats) in plastic wrap and then in heavy-duty foil, or place in a freezer bag. ♦ If you open packages of vegetables and don’t use the entire package, reseal as tightly as possible. 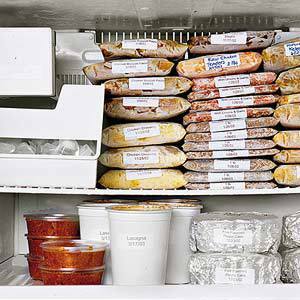 ♦ Freeze meat products before the “sell by” date on the package. ♦ Always label a package or container with the food and date it was stored. 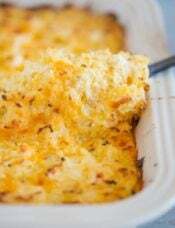 ♦ Lasagna, baked ziti, stuffed shells, etc. I have found that the best way to package and organize prepared meals such as these is to use disposable containers. 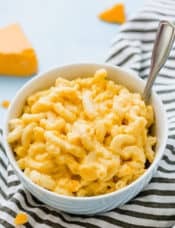 For the casseroles, baked pastas, enchiladas and things that you would normally bake in a baking dish, prepare in a freezer-safe foil disposable container. Be sure that it is sealed tightly and label it. 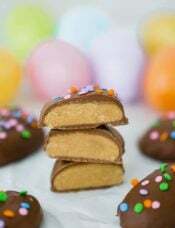 You should include the baking temperature and time on the label, that way you don’t have to go searching for a recipe when you want to pull it out and make it. They are easily stacked and once you use it you can throw it away – no dishes! 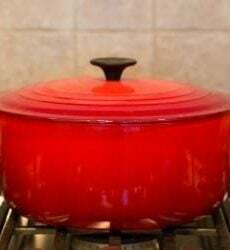 The second method is with more liquid-type foods such as sauces and soups. I follow the route that you see illustrated in the “neat freezer” pictured at the top of the post. Put the sauce or soup into a freezer bag, squeeze out all of the extra air, and then lay flat to freeze. You can easily stack these packages or even sit them upright like you would books, depending on the space in your freezer. They also thaw much, much faster this way then having a big plastic container full of food. 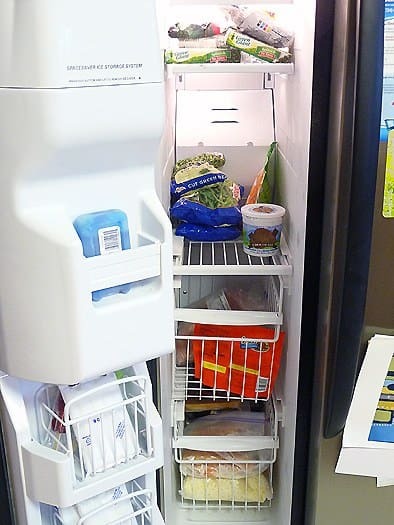 So there you have it – a rundown on all of the ways that you can make your freezer a less scary place and use it to your advantage. You could spend a couple of hours on a Saturday or Sunday putting together a few meals and a pot of soup and have a well-stocked freezer for those nights when the last thing you want to do is cook! 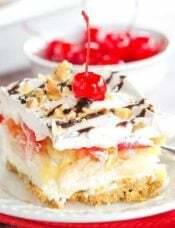 Hi my loved one! I wish to say that this article is amazing, nice written and include almost all important infos. Thank you for the chart. My husband and I freeze our vegetables from the garden. How long can they be stored safely in the freezer? Getting ready for another Midwest winter. 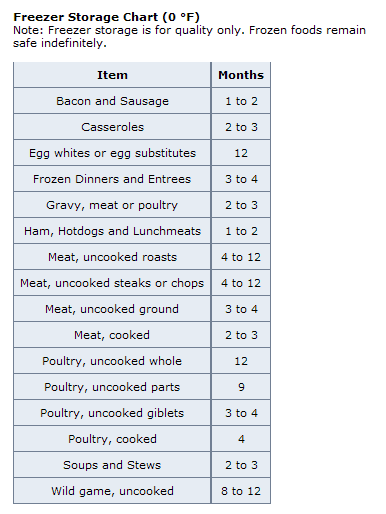 Thanks for that helpful chart on how long to freeze foods and not compromise quality. Very useful. So glad you didn’t throw out ice cream from The Creamery! We just got our first upright…and I can’t wait to organize it…and my regular freezer, too! Ugh, I dread going into my freezer because it’s crammed full of things and I know I need to go through and throw away/organize it all. One problem I have is that I’ve frozen some meat, but left it in the original store packaging which makes for a much more space stealing package. Do you unpackage fresh meat and rewrap it with a label for optimal space saving? I might need to start that. Thanks for the tips! I only repackage purchased meat if I buy it in bulk, then I will put more manageable servings into gallon-size freezer bags. Otherwise, I just keep it in the original packaging. Hope that helps! 40F is the safe storage minimum. Storage at 0F is the minimum if you want to prevent bacteria from growing. Frozen foods aren’t safe indefinitely, particularly if the food harbours bacterium prior to it being frozen. This is a really common mistake that catches people out. Thawing it out means that it reactivates (unless you cook it above 140F prior to eating it). Additionally, while the food keeps, the quality diminishes – something that should be mentioned. Likewise, thawing an item out ‘for an hour or so’ at room temp encourages bacterial formation and growth (again, unless you subsequently cook it over 140F). It’s better to defrost and then cook in the microwave or on a stove. One can never be too careful with food safety. I thought it was going to be a handful of boring old post, but it really compensated for my time. I will post a link to that page on my blog. I am sure my visitors will discover that extremely practical. That’s a great question, and I’m going to add it into the post. I defrost either at room temperature or in the refrigerator. 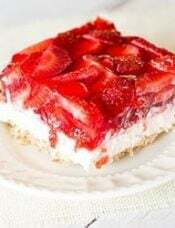 For instance, if I want cheesecake for dessert, I may take it out of the freezer in the morning and stick it in the fridge. For cookies or brownies, I’ll take one out and leave it at room temperature for an hour or so. If I’m really craving one, I’ll throw it in the microwave ;-) Hope that helps! 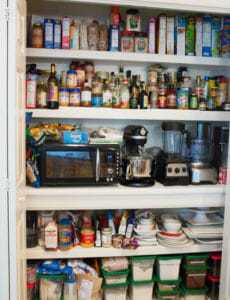 I would love to use your entry for my blog as I just wrote one on organizing the fridge door. Send me an email and I would love to connect with you! Love this post. I’m Dying for a stand alone freezer, stuffing my little freezer is a task all in its own. I freeze a lot of different dishes but I’ve never thought about freezing things like cake, cookies, and brownies. You mentioned the best way to do this, but whats the best way to defrost. 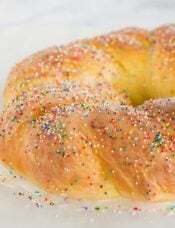 I’d be afraid of the texture not being the same, or the goodies getting mushy. Do they taste the same?